The British handbag company Mulberry has given their classic bag a twist, with this slouchy 'weekend' bag. This is my friend's bag and I recall her using it almost on a daily basis for our third year of university. 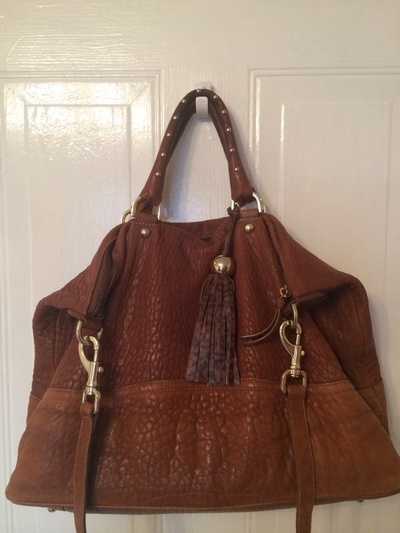 The slouchy style, leopard tassel accessory and studded handle give the bag a casual, stylish element. Buy it from the Mulberry website and you won't use another bag for the weekend, a trip to the beach, or even as your carry-on luggage when travelling.